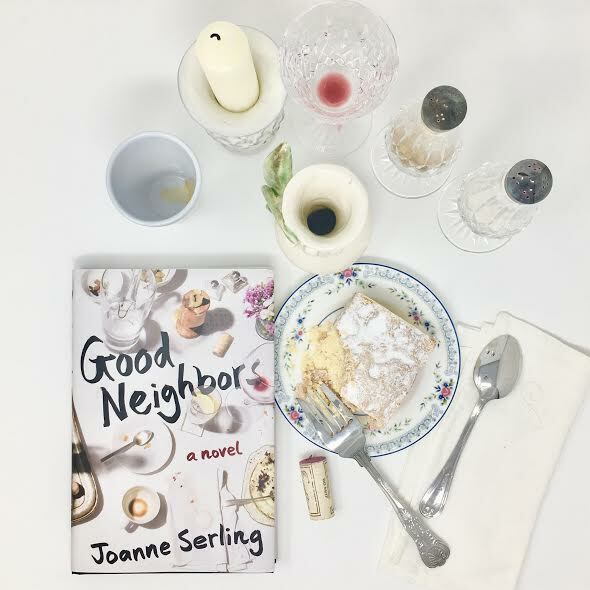 This week I read Good Neighbors by Joanne Serling. It's disturbing for several reasons: suburban affluenza, neighborhood cliques, and a foreign adoption gone terribly wrong. In an idyllic suburb, four young families quickly form a neighborhood clique, their friendships based on little more than the ages of their children and a shared sense of camaraderie. When one of the couples, Paige and Gene Edwards, adopt a four-year-old girl from Russia, the group's loyalty and morality is soon called into question. Are the Edwards unkind to their new daughter? Or is she a difficult child with hidden destructive tendencies? As the seams of the group friendship slowly unravel, neighbor Nicole Westerhof finds herself drawn further into the life of the adopted girl, forcing Nicole to re-examine the deceptive nature of her own family ties, and her complicity in the events unfolding around her. This book hit close to home because it's never a good idea to become friends with people just because they have children your children's ages. Also, it's not always a good idea to become friends with your neighbors just because of geography. I wish I'd read this book when I was much younger because although it's fiction, I could've learned from it. Now I choose my friends based on shared interests and values. The jockeying for position with the women in this clique is tiresome and silly. Paige is the perfectionist that the other women look-up to and all seek her approval. She is passive aggressive in how she takes things farther, like putting together over the top or inappropriate party favors for the groups' children for random occasions and holidays. Her unpredictability also enhances her passive aggressiveness. A trained horticulturalist, her stately tutor is stunning with its informal English garden. 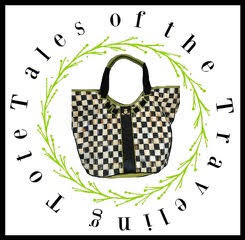 Lorraine is the bossy friend: a corporate headhunter who's very persuasive. A divorced single parent, she tends to speak her mind more than the other three women. Nela is the busy corporate lawyer. She isn't as available as the other three, but she sometimes calls the other three out for bigotry and vapidness. The fourth in the group is Nicole, a stay at home mom and former journalist. The story is told from Nicole's point of view, and I'm not normally a fan of first person POV but it works in this novel. I'm still not sure how reliable Nicole is as narrator because she's not as busy as the other women, she's preoccupied with her own dysfunctional family (her sister is a train wreck), and the reader is privy to so many of her thoughts. We all have crazy thoughts from time to time, but I'm not fully clear as to which thoughts she believes. Interestingly enough, the narrative is bookended with a Prologue, "What We Thought We Knew, " and an Epilogue, "What We Knew." 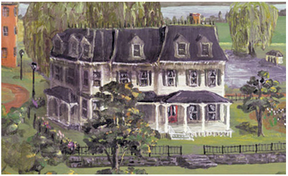 The prologue is chockfull of contradictions: "we abhorred social climbers....we hated strivers....we were modest....we were moneyed...our extended families weren't as smart or as kind or as socially mobile as we were..." The Epilogue focuses on the Edwards' adopted daughter Winnie and "what ifs," but it also discusses the troubles the other parents are having with their own children. What bothered me most about the book is the preoccupation with Winnie. Each family clearly has children with disabilities that are never addressed: They are never addressed by the parents, and they are never addressed by the school district and private schools. Massachusetts (the setting for this novel) supposedly has one of the best special education programs in the country. This made it hard for me to maintain my suspension of disbelief. But in spite of this, I enjoyed the story and I highly recommend it. I'm thankful that our cul-de-sac is nothing like "the nicest street in the nicest neighborhood in Fair Lawn." 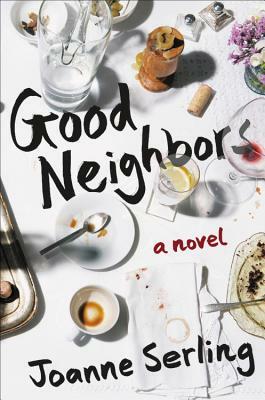 I received a hardback copy of Good Neighbors from the publisher via TLC Book Tours in exchange for a fair and honest review. Below is an IndieBound affiliate link for purchasing Good Neighbors. Sounds like a good read RJ. You are right about being careful about choosing friends! Interesting book cover too. Seems we both were reading disturbing books this week. I'm sorry I read mine, wish I'd put it down but I finished it. The Road, Cormac McCarthy. I don't recommend it. Nothing is what it seems, right? We have always had crazy neighbors, is anyone normal :) How awful to live in a cliquey situation! It sounds like this book has some really good lessons in it regarding who you choose to befriend! Lol! I lived in a neighborhood like this in southern California. Think this may be next book! I like your advice regarding friendship! Lessons we learn as we go along. I hear ya!! I pinned, thank you for the review.